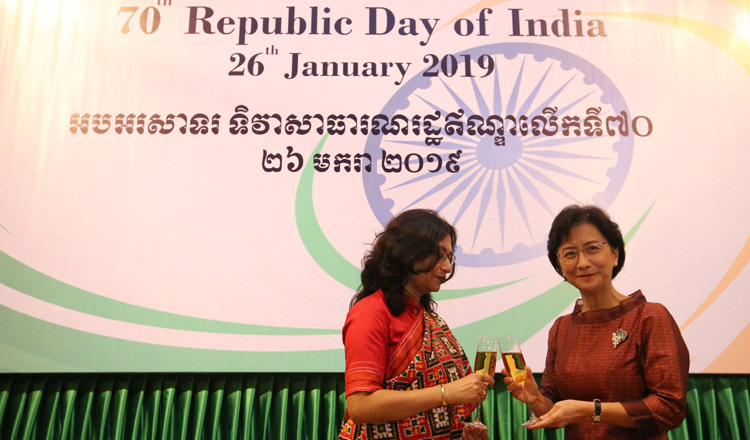 The Republic of India celebrated its 70th Republic Day with a gala dinner, which followed a morning flag hoisting ceremony at the embassy compound. 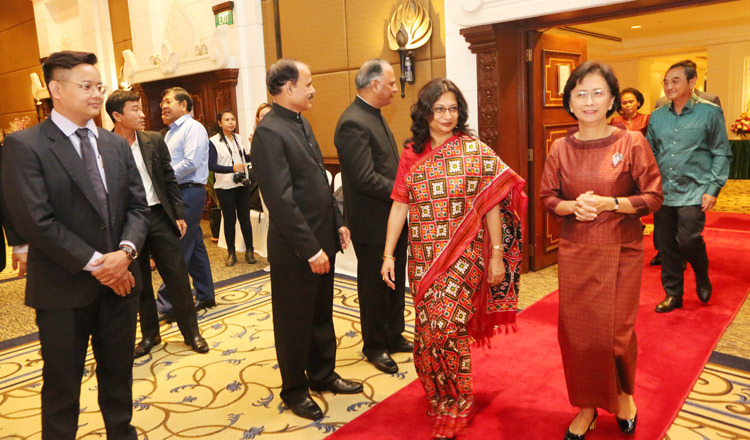 The dinner and celebration, held at the Great Duke Hotel saw the Minister of Women’s Affairs Dr. Ing Kantha Phavi, gracing the occasion, along with numerous other members of the diplomatic corps and government officials. Both Minister Kantha Phavi and Indian Ambassador, Her Excellency Ms Manika Jain, later exchanged toasts, following which guests were treated a scintillating classical dance and a sumptuous spread of Indian delicacies. 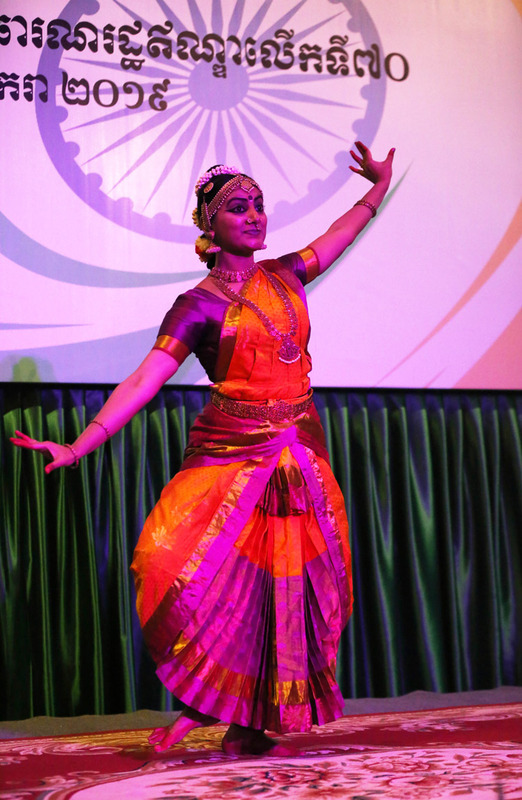 A scintillating performance from an Indian classical dancer, flown all the way from India. Both dignitaries exchanging toasts to mark the 70th Republic Day of India. 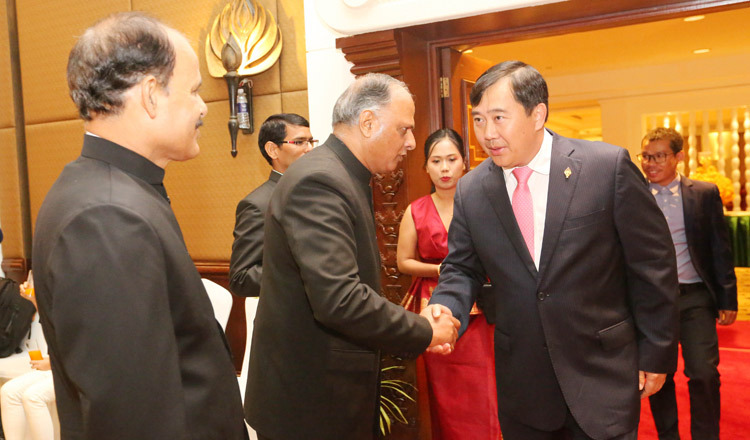 Mr Sous Yara, Secretary General of the Asian Cultural Council, being received by Indian Embassy officials. 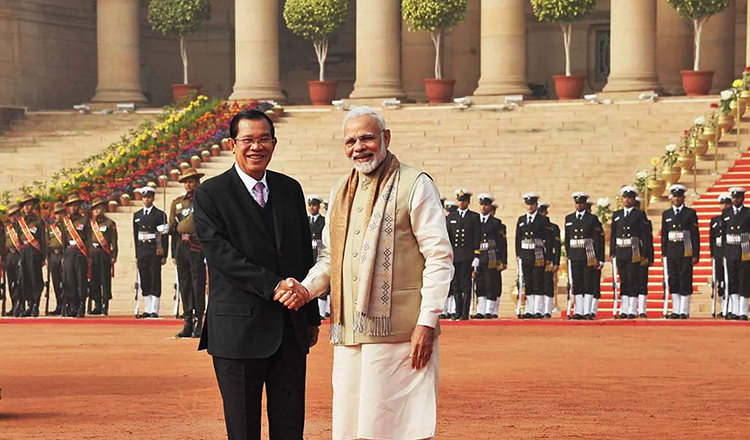 Prime Minister Hun Sen met with India’s Prime Minister Shri Narendra Modi in India on January 27, 2018. Supplied.